Between 2010 and 2015, the use of industrial robots in the inland region grew from 562 to 1,495. If this 22 percent annualized percent increase is any indication of the trajectory of industrial robot deployment in the future, the inland region is facing a remarkable challenge. It must prepare its large blue-collar work force to meet the challenges and potential displacement of automation. This week, in an exclusive interview with The Voice/Black Voice News, Dr. John Husing, one of the Inland Empire’s chief economists, was asked how the region was preparing to meet this eventuality. “That is an issue,” he responded. “It is a very scary issue, it is one we are concentrating on.” Husing shared that he will be giving a presentation to U.S. Senator Kamala Harris on this very issue later in the week. He further explained, “In a warehouse, as you start to automate, the people who work there have to be able to handle the technology, repair it, program it. These are not the skill sets they have right now.” The impact of automation is a huge focus of the Inland Empire Economic Partnership (IEEP). “The Partnership is working with educators and businesses to find how we can do a better job of preparing people technically.” IEEP is a private non-profit organization that advocates for business and quality of life for Riverside and San Bernardino Counties. Technical training used to be part of the normal education process. “Community colleges had a very sophisticated technical training operation. We eliminated that over the last 50 years. Now, we need it again,” Husing stressed. “We don’t need the first two years of formal education now, as much as we need technical education.” Sacramento is currently working with community colleges to get them back into that business, he assured. Husing noted that local colleges like UTI, a private college in Rancho Cucamonga, are doing a good job in this regard. He also highlighted Rancho Cucamonga’s Chaffey College, which “has an excellent operation. They received several million dollars from the federal government to set up a technical training institute at California Steel in Fontana. The company works with local community colleges to train people.” The goal is to train students to fill vacancies in construction, manufacturing, and other positions being left by a growing number of retiring Baby Boomers. The International Federation of Robots (IFR) noted that most of the deployment of robots in recent years has occurred in the rust belt and the South. 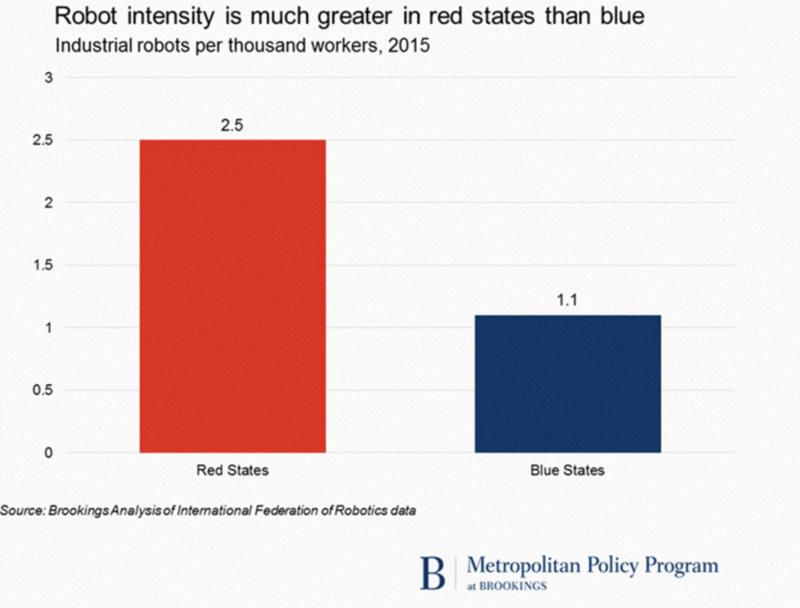 The western United States, according to IFR, currently accounts for only 13 percent of the total use of industrial robots nationally. All of that, however, is about to change. In May, Professor Johannes Moenius, director of the Institute for Spatial Economic Analysis (ISEA) at the University of Redlands, noted, “The replacement of jobs by machines has been happening continuously since the Industrial Revolution, but it's expected to significantly accelerate in the coming 10 or 20 years." According to ISEA, robots are projected to be technically capable of taking more than 60 percent of the jobs in Southern California by the year 2035. Although manufacturing is among the industries expected to be the hardest hit, experts also foresee the potential job losses in the service industry, including food preparation and serving, office and administrative support, and sales. Researchers also believe jobs that are considered “non-routine,” like truck driving, healthcare, and education, as well as white collar jobs in fields like journalism, finance, medicine, and the law will also feel the impacts of automation. In general, according to software engineer Martin Ford, author of “Rise of the Robots: Technology and the Threat of a Jobless Future”, “Any job that involves sitting in front of a computer manipulating information in some relatively routine, predictable way is going to be vulnerable to automation." Importantly, as might be expected, ISEA noted job losses resulting from automation a r e “expected to hit lower-paying occupations the hardest.” I n other words, although areas like the inland region are expected to lose a large percentage of jobs to automation, those in higher paying careers are less likely to be impacted by the change. 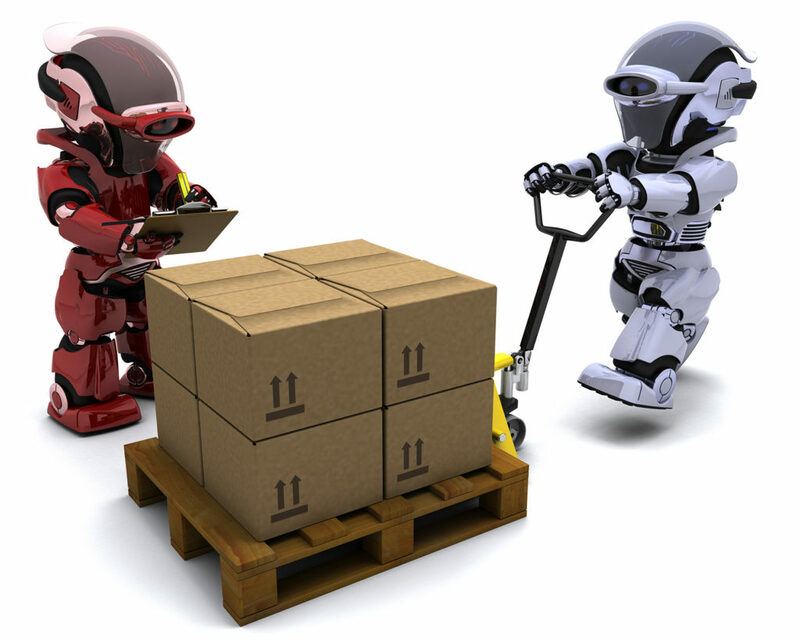 According to Robotic Industries Association (RIA), robots make good business sense for logistic companies because they are “designed to provide safety, efficiency and accuracy.” In June, the RIA issued a report that mostly aligned with the Brookings Institute report. In 2016, the logistics robotic market reportedly produced global revenue of nearly 2 billion dollars. It predicted that, by 2021, the market revenue for this sector would reach more than 22 billion dollars, growing the number of robot units shipped from 40,000 to 620,000 annually. 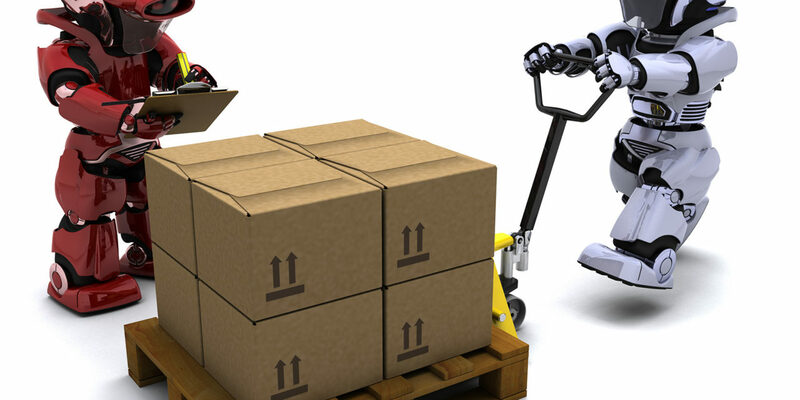 The varied and complicated tasks performed in the logistics and transportation industries have made the deployment of automation challenging because, automation is most successful in the performance of repetitive tasks. Now, 3-E laser vision, in combination with robotic software, has made the deployment of robotic technology in these industries a given. In 2016, there were 55,660 warehouse jobs in the Inland Empire. As the inland region looks toward the future of employment opportunities, Husing again stressed the importance of education, pointing out that a good percentage of adults in the region do not pursue post-secondary education. “That means we have a huge challenge in front of us,” he stressed. “In the country, we are one of the most vulnerable areas.” As the industry faces its vulnerability, education will be important to current employees and will remain vital to the next generation as well.